Try Workable all-in-one recruiting software for free and get your ad on the best free job boards today. Just one submission will post to all of the top job sites. Workable will email a summary of applicants every day. 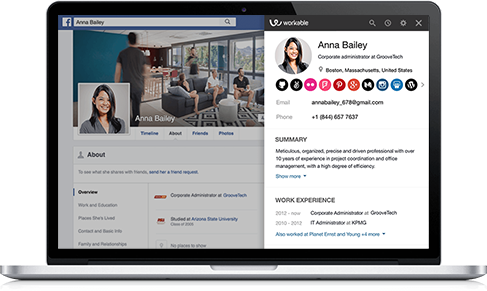 Try Workable’s all-in-one recruiting software free. Post with a single submission to multiple free job boards including Indeed (Organic), Monster, Glassdoor, CareerBuilder and more. People Search is Workable’s integrated candidate sourcing tool. Search for candidates by skill, keywords and location. Find information including resume, education and email address and reach out to candidates directly with more effective, personalized outreach. Your next hire may already be your biggest fan on social media. Post jobs on LinkedIn, Facebook, Twitter and Google+ without leaving the Workable platform. 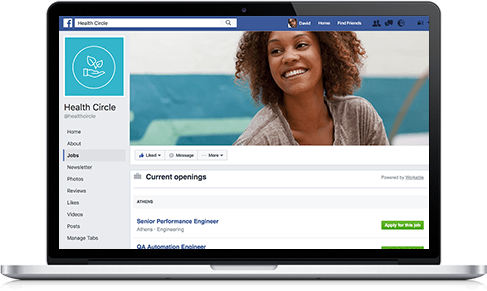 Increase your reach with a free Facebook Jobs tab, and automatically add new jobs to your company Facebook page. 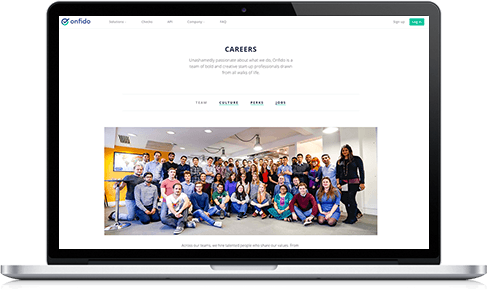 Create a mobile-optimized careers page and up-to-date job listings with Workable’s intuitive toolkit. Improve employer branding and candidate experience with a customizable application form and job description templates. Collaborate with your hiring team to review the best applicants. 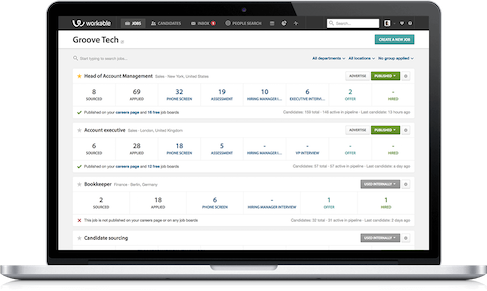 Resumes are automatically organized for screening in your secure candidate browser. Move applicants through the hiring pipeline and use structured interview kits and scorecards to interview top candidates. 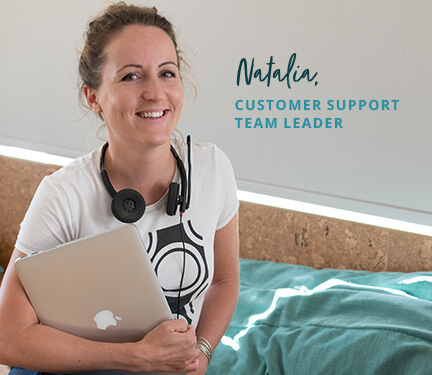 Give your hiring team the ultimate flexibility to hire from anywhere. 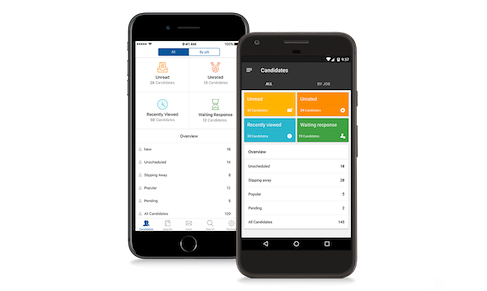 Use the Workable iOS or Android app on the go. Review resumes, leave candidate feedback, schedule interviews, complete scorecards and more. Never miss out on a great candidate. the successful candidate within 2 working days. Every job board has their own acceptance criteria. After publishing your job via Workable, it’ll be reviewed by our expert team. They’ll email to let you know when your job has been approved or offer advice on how to optimize it.